‘Star Wars’ Shocker!! 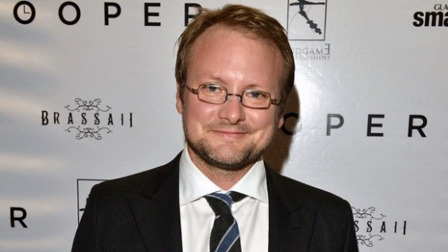 Rian Johnson Set To Direct Next Two ‘Star Wars’ Films!! Here is some very interesting and shocking news that Deadline is reporting. We all know that J.J. Abrams is directing ‘Star Wars: Episode VII‘, and I was going to assume that he would be making the next episodes as well. I was wrong. It looks like director Rian Johnson is signing the contracts to write and direct Episodes VIII and IX. This means that Abrams will pass the torch after this first film is done to Johnson, who by the way is forty years old. And like all of us, grew up watching Lucas make the original films. This is great news. Rian Johnson directed ‘Brick‘, ‘Looper‘, and the three best episodes of ‘Breaking Bad‘. Johnson is set to write and direct Episodes VIII and IX, which I’m going to guess Abrams will stay on as a producer of some sort. This makes sense as Disney and LucasFilm are planting these amazing directors to make all of their ‘Star Wars‘ films. Josh Trank (‘Chronicle‘) and Gareth Edwards (‘Godzilla‘) will do the spinoff films. But having Rian Johnson on this giant project is excellent news. His films and television work are outstanding. his camera work is beautiful too. Your thoughts? This entry was posted on Friday, June 20th, 2014 at 1:35 pm	and is filed under Film, News. You can follow any responses to this entry through the RSS 2.0 feed. You can skip to the end and leave a response. Pinging is currently not allowed. « Boomstick Giveaway: HBO’s ‘True Detective’! !